Today’s Brownie is again made with cocoa powder enhanced with the taste of coffee. Even while making the batter, I wanted to taste and see how it would taste once baked. Its again a hurried post as an unexpected trip got planned and now have to carry the brownie infact for cake cutting. Its going to be my niece’s birthday and Hubby dear insisted on a homemade cake. Hence the picture as whole and not sliced! And imagine I baked it in a hurry this morning and still have two more to be baked in the evening! I was checking out the bookmarked list I had and was inspired by this. It surely looks all dark and sinful. Can’t wait to taste it once its sliced! Line and grease an 8″ square tin with a parchment paper. 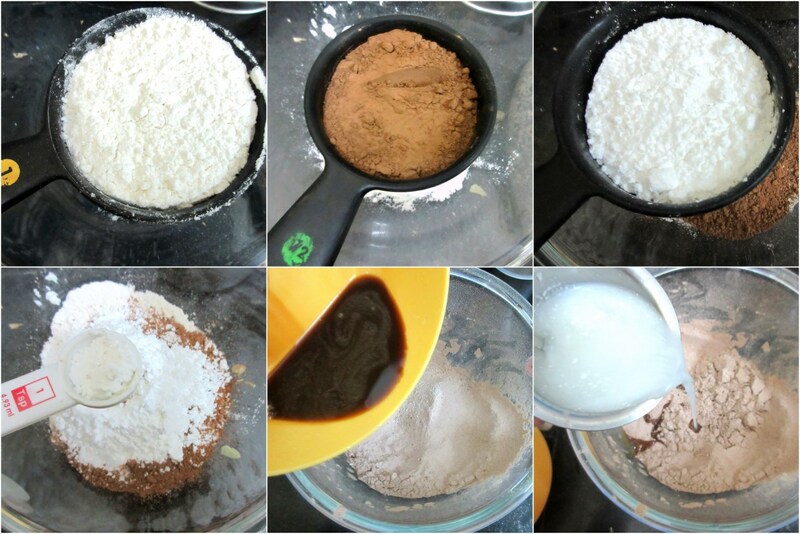 Sift all purpose flour, sugar, baking soda, salt and cocoa powder together a couple of times until they are mixed well. Melt instant coffee powder in 1/4 cup and let it cool. To the bowl of flour, add melted butter, buttermilk and coffee solution and whisk again until you get a uniform mixture. Add in choco chips/dark chocolate pieces into the batter. Transfer the batter mixture in it to get 1″ thick layer of the mixture. Bake for 25-30 mins at 185 degrees or till done. 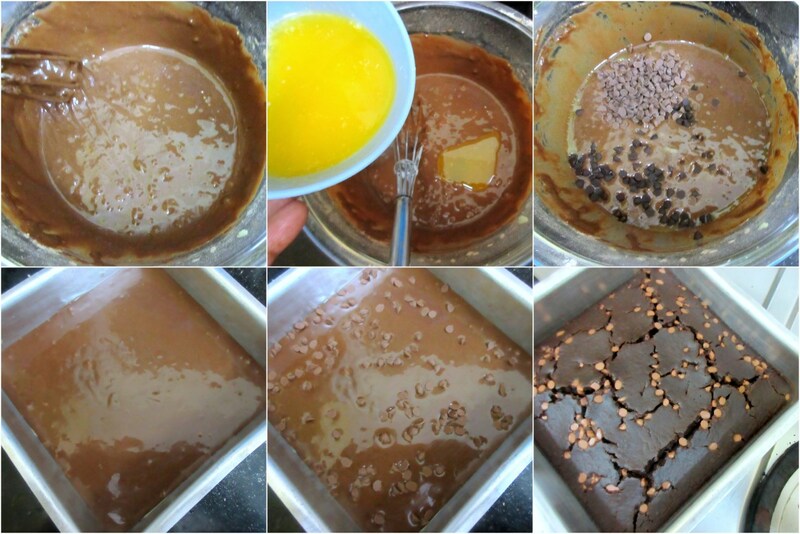 Cool completely and remove from pan and cut into squares. My daughter loves the coffee flavor, the brownie looks very rich. Must try.. Thanks for sharing such awesome recipe. 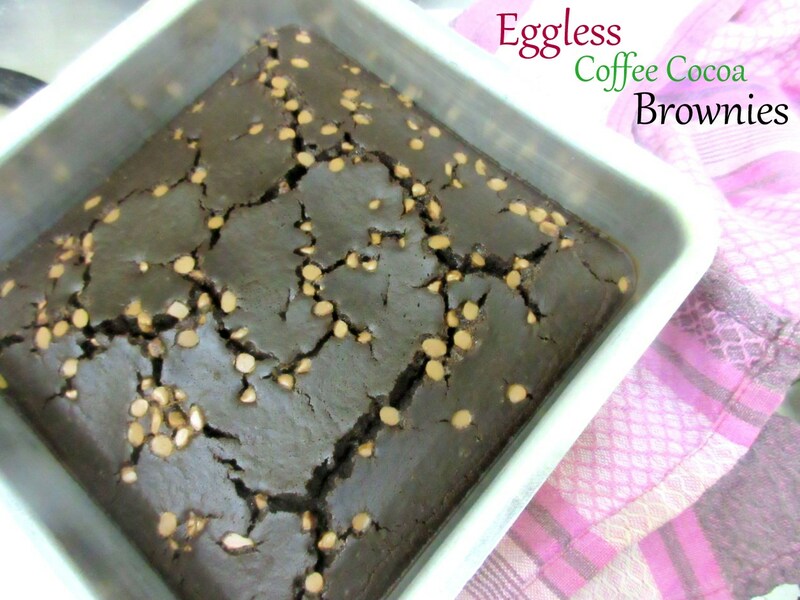 Omg, brownie with coffee, i can have two more slices without any guilt. Must be a delightful brownie with the coffee and cocoa flavor.. 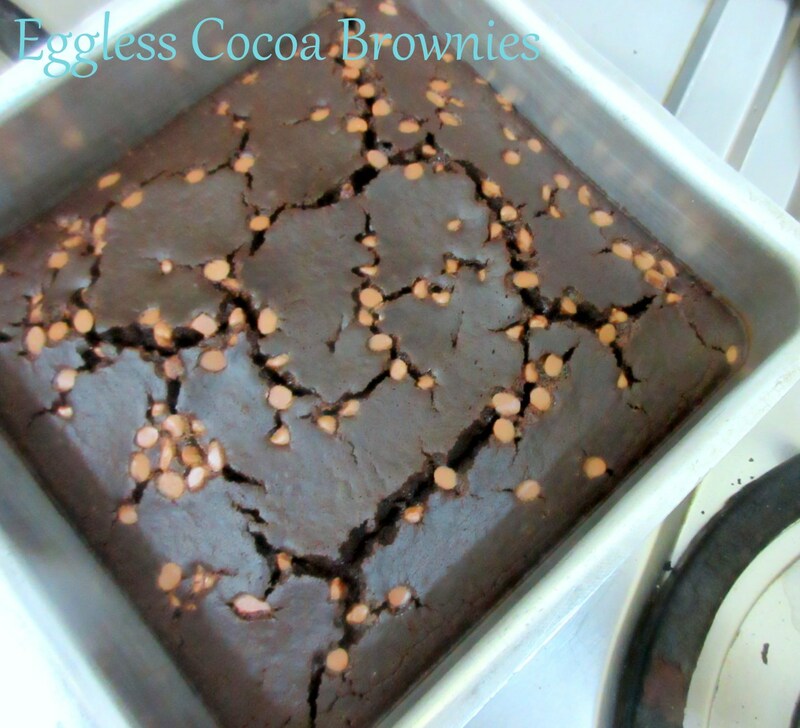 I love coffee flavored anything….these brownies look decadent! So this the other bake you baked for your niece !! Brownie cake looks delicious and she must have enjoyed this homemade cake. She is lucky to have an aunt who pampers her with homemade delicious baked. Wow, coffee flavored brownies sound absolutely delicious.